Said to be like "Netflix for news," the planned subscription news service is designed to let users read unlimited content from participating publishers for one monthly fee, set at about $10 per month. Major publishers are said to be resisting Apple's proposed revenue split, which would provide Apple with half of the revenue from the service. The other half of the revenue would be split among publishers "according to the amount of time users spend engaged with their articles." 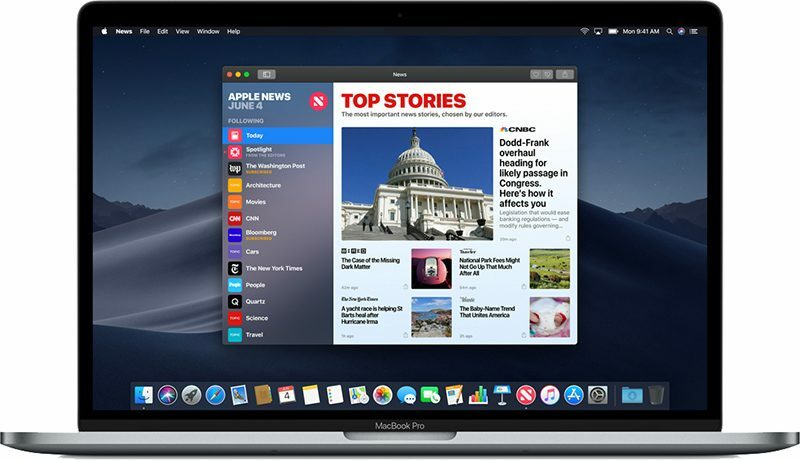 The New York Times and the Washington Post, two major publications with paywalls and subscription offerings, have not inked deals with Apple because of concerns over the terms at the current time. The Wall Street Journal reportedly also has concerns, but its conversations with Apple have been described as "productive." All three sites already offer some content on Apple News and are allowed to offer up subscriptions. News organizations are able to keep 70 percent of subscription fees for the first year for customers who sign up for Apple News, while Apple keeps 30 percent. After a year, Apple's cut drops to 15 percent. It's possible that the one $9.99 per month fee would include access to both news content and magazines, though these could also be separate payments. With the news service, and a planned television service that's also coming in 2019, Apple is aiming to boost its overall services revenue. With flagging iPhone sales, services has become an increasingly important category for Apple, allowing the company to generate revenue from its huge active install base. I can't trust anything Apple puts out for news - their bias has been shown by their CEO's virtue signaling while they remain silent on human rights issues in China and censor their apps and services in other countries. I am very disappointed by what online news has become - independently of the politics. 99% is clickbait, with preliminary, unverified, information and very little insights. I honestly prefer to spend $40 to $60/month for the home delivery of two or three printed newspapers (Financial Times, WSJ, local paper). I found out that I am way more informed than the average person and have a better understanding of what's relevant or not. (printed papers have to save space, while online media has to produce more!). And I am way less stressed! Bottom line: I don't think I'd pay for this service, and news organization should provide better news. Apple doesn’t “put [anything] out for news”. They don’t have their own editorial. That’s not how news works. This is just aggregation. You mean a curated and thereby politically correct aggregation. Curated by the fact that Apple will not offer the service to certain publications that do not fit Cook's idea of "right for the world", no matter how much fake news they publish. Oh please. The term 'fake news' originally was used for clearly bogus stories, like pizza-gate, or the supposedly faked moon landing. Now everyone cries 'FAKE NEWS' whenever there's a story that punches holes or points out problems with that persons sacred issue, or politician they like. For the most part, all this bitching about 'fake news' is an excuse for people to live in their little narrow echo chambers without having to deal with facts that make them uncomfortable. What do you mean? I can give you 10 good reasons why this is untrue. To find out why, feel free to register to our subscription service. Number 7 will ASTOUND you. It’s not rocket science to see why they are telling Apple NO? Infowars isn’t an actual news organization. You know that right? It’s a blog that trolls for attention. Get your news from legitimate sources, not some hacks. Then you won’t be so scared. Infowars is not a news site but it still got banned on all of apples platforms, which is exactly my point. Just wait until a publication writes a few article that violate apples terms and services and then they are forced to kick them off of the platform. It will happen.. just wait and see. Free speech is under attack and Apple is leading the way. That’s not how any of this works. You should stop talking. You don’t understand how news works. I mean seriously, for only $10 a month split among many publishers, what sort of "quality" do you expect to get? The way I see it, this will make news content even worst in terms of quality.